Economist Jeffrey Herbener, who calls Rothbard his friend and "intellectual mentor", wrote that Rothbard received "only ostracism" from mainstream academia. 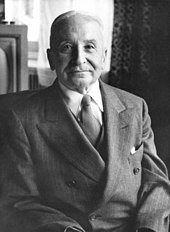 Rothbard rejected mainstream economic methodologies and instead embraced the praxeology of his most important intellectual precursor, Ludwig von Mises. To promote his economic and political ideas, Rothbard joined Llewellyn H. "Lew" Rockwell, Jr. and Burton Blumert in 1982 to establish the Ludwig von Mises Institute in Alabama. In 1954, Rothbard, along with several other attendees of Mises' seminar, joined the circle of novelist Ayn Rand, the founder of Objectivism. He soon parted from her, writing among other things that her ideas were not as original as she proclaimed, but similar to those of Aristotle, Thomas Aquinas and Herbert Spencer. (pp109–14) In 1958, after the publication of Rand's novel Atlas Shrugged, Rothbard wrote a " fan letter" to her, calling the book "an infinite treasure house" and "not merely the greatest novel ever written, [but] one of the very greatest books ever written, fiction or nonfiction". He also wrote: "[Y]ou introduced me to the whole field of natural rights and natural law philosophy", prompting him to learn "the glorious natural rights tradition". (pp121, 132–34) (pp145, 182)  Rothbard rejoined Rand's circle for a few months, but he soon broke with Rand once more over various differences, including his defense of anarchism. Rothbard was an advocate and practitioner of the Austrian School tradition of his teacher Ludwig von Mises. Like Mises, Rothbard rejected the application of the scientific method to economics and dismissed econometrics, empirical and statistical analysis and other tools of mainstream social science as useless for the study of economics. He instead embraced praxeology, the strictly a priori methodology of Mises. Praxeology conceives of economic laws as akin to geometric or mathematical axioms: fixed, unchanging, objective and discernible through logical reasoning without the use of any evidence. On the account of Misesian economist Hans-Hermann Hoppe, eschewing the scientific method and empirical evidence distinguishes the Misesian approach "from all other current economic schools". Mark Skousen of Grantham University and the Foundation for Economic Education, a critic of mainstream economics,  praises Rothbard as brilliant, his writing style persuasive, his economic arguments nuanced and logically rigorous and his Misesian methodology sound. However, citing Rothbard's absence of academic publications, Skousen concedes that Rothbard was effectively "outside the discipline" of mainstream economics and that his work "fell on deaf ears" outside his ideological circles. Paralleling Skousen's remarks, Hoppe laments the fact that all non-Misesian economists dismiss as "dogmatic and unscientific" the Misesian approach, which both he and Rothbard embraced. Political scientist Jean Hardisty commented on Rothbard's "praise" of the argument, made in Richard Herrnstein and Charles Murray's book The Bell Curve, that blacks tend to score on average lower than whites on IQ tests. Hardisty noted that Rothbard's remark on intellectual and "temperamental" differences between races are "self-evident". In The Ethics of Liberty, Rothbard advocates for a "frankly retributive theory of punishment" or a system of "a tooth (or two teeth) for a tooth". Rothbard emphasizes that all punishment must be proportional, stating that "the criminal, or invader, loses his rights to the extent that he deprived another man of his". Applying his retributive theory, Rothbard states that a thief "must pay double the extent of theft". Rothbard gives the example of a thief who stole $15,000 and says he not only would have to return the stolen money, but also provide the victim an additional $15,000, money to which the thief has forfeited his right. The thief would be "put in a [temporary] state of enslavement to his victim" if he is unable to pay him immediately. Rothbard also applies his theory to justify beating and torturing violent criminals, although the beatings are required to be proportional to the crimes for which they are being punished. In an essay condemning " scientism in the study of man", Rothbard rejected the application of causal determinism to human beings, arguing that the actions of human beings—as opposed to those of everything else in nature—are not determined by prior causes, but by " free will". He argued that "determinism as applied to man, is a self-contradictory thesis, since the man who employs it relies implicitly on the existence of free will". Rothbard opposed what he considered the overspecialization of the academy and sought to fuse the disciplines of economics, history, ethics and political science to create a "science of liberty". 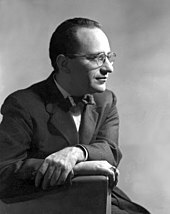 Rothbard described the moral basis for his anarcho-capitalist position in two of his books: For a New Liberty, published in 1973; and The Ethics of Liberty, published in 1982. In his Power and Market (1970), Rothbard describes how a stateless economy might function. By the late 1960s, Rothbard's "long and winding yet somehow consistent road had taken him from anti- New Deal and anti-interventionist Robert Taft supporter into friendship with the quasi-pacifist Nebraska Republican Congressman Howard Buffett (father of Warren Buffett) then over to the League of (Adlai) Stevensonian Democrats and, by 1968, into tentative comradeship with the anarchist factions of the New Left". Rothbard advocated an alliance with the New Left anti-war movement on the grounds that the conservative movement had been completely subsumed by the statist establishment. However, Rothbard later criticized the New Left for supporting a " People's Republic" style draft. It was during this phase that he associated with Karl Hess and founded Left and Right: A Journal of Libertarian Thought with Leonard Liggio and George Resch, which existed from 1965 to 1968. For a New Liberty: The Libertarian Manifesto, Collier Books, 1973, 1978; full text reprint/ Audio book, Mises Institute, ISBN 0-945466-47-1). The Ethics of Liberty, Humanities Press, 1982; New York University Press, 1998; full text reprint/ Audio Book, Mises Institute, ISBN 0-8147-7506-3. ^ Bessner, Daniel (December 8, 2014). "Murray Rothbard, political strategy, and the making of modern libertarianism". Intellectual History Review. 24 (4): 441–456. doi: 10.1080/17496977.2014.970371. ^ Matthews, Peter Hans; Ortmann, Andreas (July 2002). "An Austrian (Mis)Reads Adam Smith: A critique of Rothbard as intellectual historian". Review of Political Economy. 14 (3): 379–392. CiteSeerX 10.1.1.535.510. doi: 10.1080/09538250220147895. ^ Kyriazi, Harold (2004). "31 Reckoning with Rothbard". American Journal of Economics and Sociology. 63 (2): 451–84. doi: 10.1111/j.1536-7150.2004.00298.x. Frech, H. E. (1973). "The public choice theory of Murray N. Rothbard, a modern anarchist". Public Choice. 14: 143–53. doi: 10.1007/BF01718450. JSTOR 30022711. Hudík, Marek (2011). "Rothbardian demand: A critique". The Review of Austrian Economics. 24 (3): 311–18. doi: 10.1007/s11138-011-0147-3. Pack, Spencer J. (1998). "Murray Rothbard's Adam Smith" (PDF). The Quarterly Journal of Austrian Economics. 1 (1): 73–79. doi: 10.1007/s12113-998-1004-5.